Our client was no stranger to forging documents, but his past record was not what mattered in this case out of the Torrance Superior Court. Usually, a person’s past record casts a long shadow over every subsequent case, so this summary is nice to read because it did not. Summary: Client with three prior convictions for felony forgery (Penal Code § 470) arrested at Kevin Jewelers in Del Amo Mall, driven to store by loan shark, case dismissed based on duress. Our client, age 50, had run up a considerable debt gambling at the Normandie Casino. He had tried to dig himself out of his losses by borrowing money from “Juan,” a loan shark who frequented all of the local casinos. Juan had a reputation for breaking arms of those who could not find a way to repay his loans. Juan was about six foot, three inches tall, covered in tattoos and weighed about 300 pounds. With our client, he agreed to accept jewelry in lieu of the $2,000 loan owed. Accordingly, Juan drove our client to Kevin Jewelers in the Del Amo Mall. Juan instructed our client to go in the store and bring back a diamond and a nice watch. Juan remained in the car, waiting for our client. Our client nervously went into the store and did the only thing he knew how to do – forge a credit application to obtain the diamond and the watch, which were worth far in excess of the sum owed to Juan. Our client claimed he was someone else who he knew had good credit. In our experience, when this happens, the “someone else” is sadly usually a family member whose birth date the suspect remembers, as well as the middle name and perhaps even a driver’s license number. Here, we never found out exactly who this was. Before our client could leave the store with the diamond and the watch, police came to the store to arrest our client after Kevin Jewelers recognized the credit application as fraudulent. Our client was still on probation from his prior forgery conviction out of San Francisco County and police here in Torrance knew this. They charged with a violation of Penal Code § 470 for forging the signature of someone else in the credit application. The client then came to Greg Hill he was distraught and resigned to serving significant prison time. He only wanted Greg to minimize the prison time. 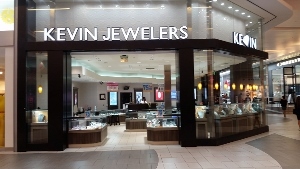 Greg immediately recognized that the crime had not been completed, as Kevin Jewelers never once gave possession of their product to our client. At most, it was attempted grand theft. Kevin Jewelers also knew that our client was simply making up a fictitious person to have his credit application approved. In other words, the client was not forging the signature of anyone who even existed. Most importantly, there was a duress issue, too, as Juan sat in the car outside the store, forcing our client to commit the crime. Greg met with the detective assigned to the case and explained these shortcoming in the case. The detective listened respectfully, but never acknowledged the issue as being a problem. 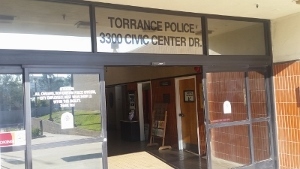 The district attorney’s office in Torrance, however, understood the deficiency and decided not to file the case. Our client was very happy, knowing that his case was rejected because the facts just did not add up for a case of forgery.